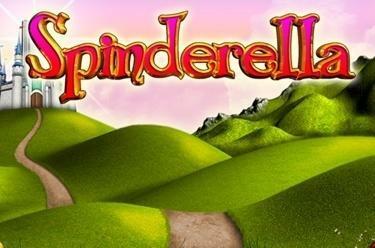 Play Spinderella online for free now! Let the Fairy Godmother conjure up something for you: A glass coach, a prince or a castle full of Twists - collect fabulous winnings from the 5 reels and up to 20 lines that will get your heart racing! Your aim is to land 5 matching symbols along a win line. All win lines run in different patterns along the reels from left to right. To win you have to create the patterns with identical symbols from the left side by side without interruption. Spinderella substitutes for all symbols except the Fairy Godmother and multiplies your winnings by up to x10. She’ll also conjure up a few bonus rounds for you! 3, 4 or 5 Fairy symbols trigger the Free Game Bonus, which uses the bet from your last regular game. 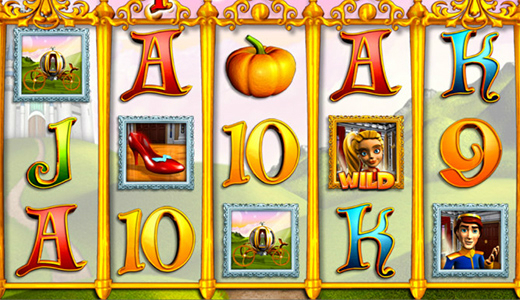 Here the Fairy Godmother determines how many free spins (max. 50) you win and which symbol is to be the Wild symbol. The Wild symbol not only complements all other symbols but also multiplies your line winnings by up to x10 as soon as it becomes part of a winning combination.